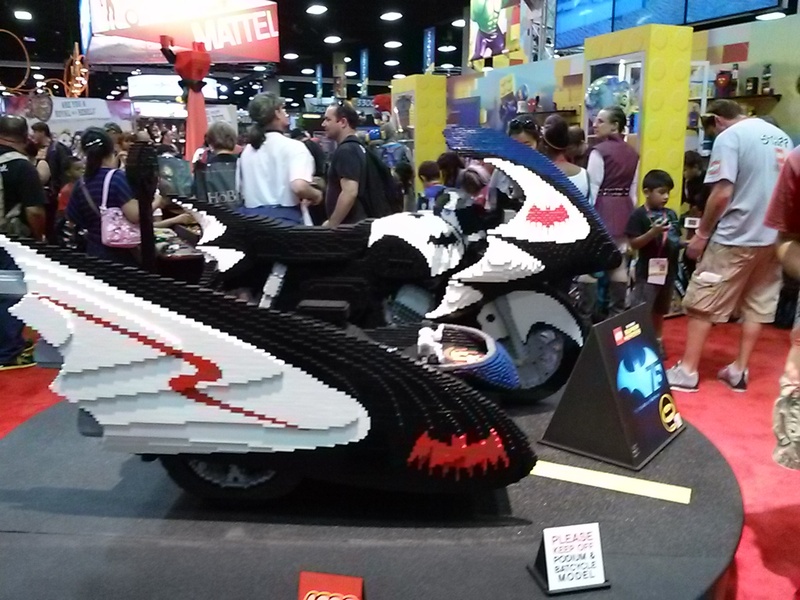 The Comic Con exhibit hall floor is an amazing place. You can literally find anything here. 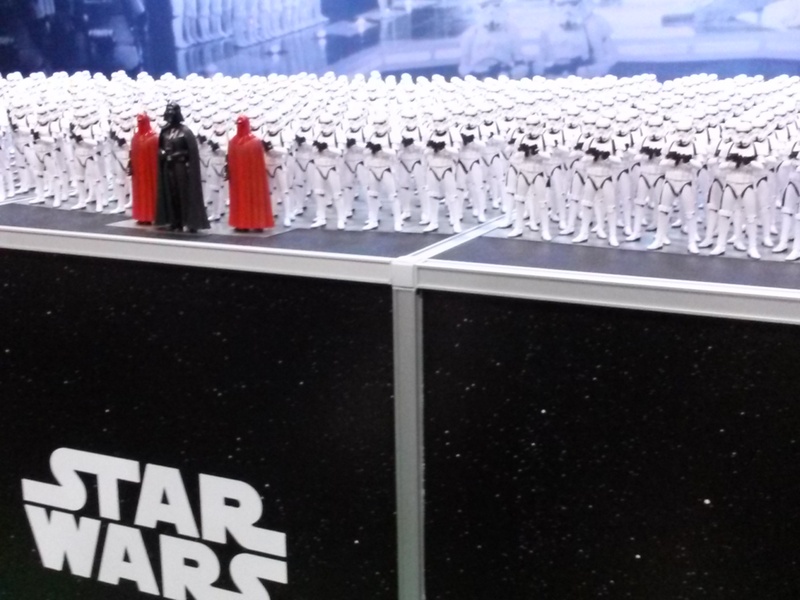 Every fandom is represented at the hundreds upon hundreds of booths. 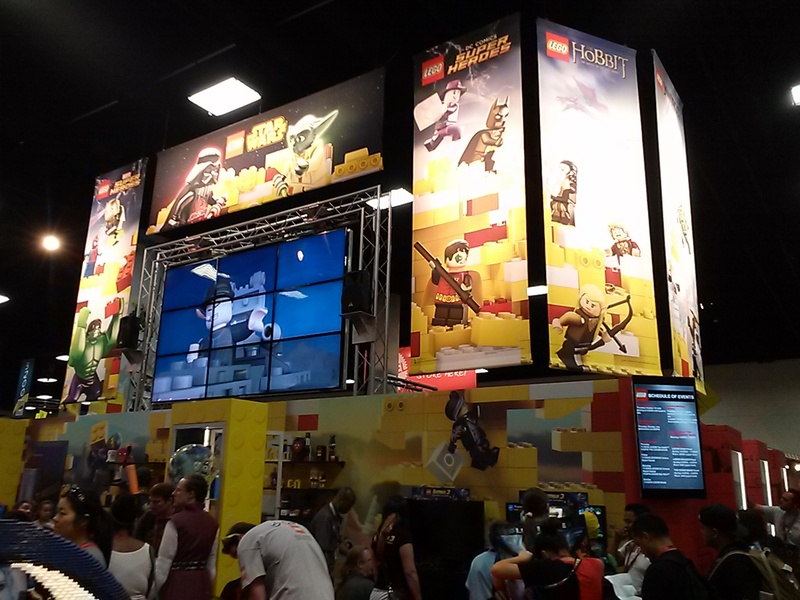 This year I really think that the booths and exhibits from the big names are the best in years. 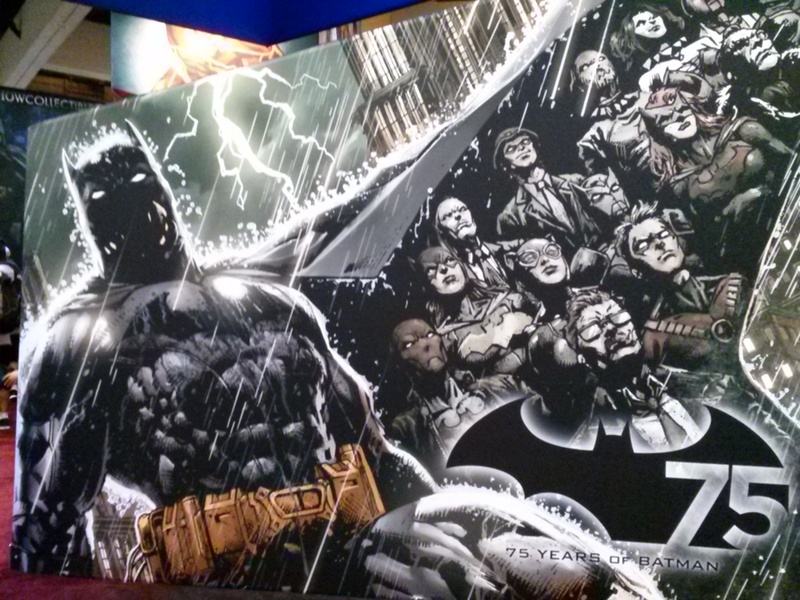 2014 marks the 75th anniversary of Batman and DC is celebrating in a big way. 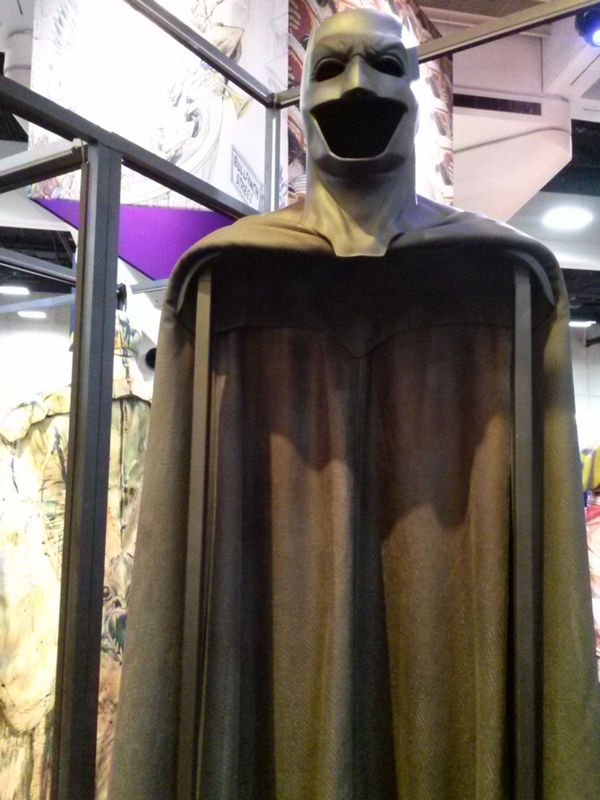 They have the new cape and cowl from the Ben Affleck incarnation of the Dark Knight. Now that Disney owns Marvel and Star Wars, they dominate the floor, and yet Disney itself is not as well represented. 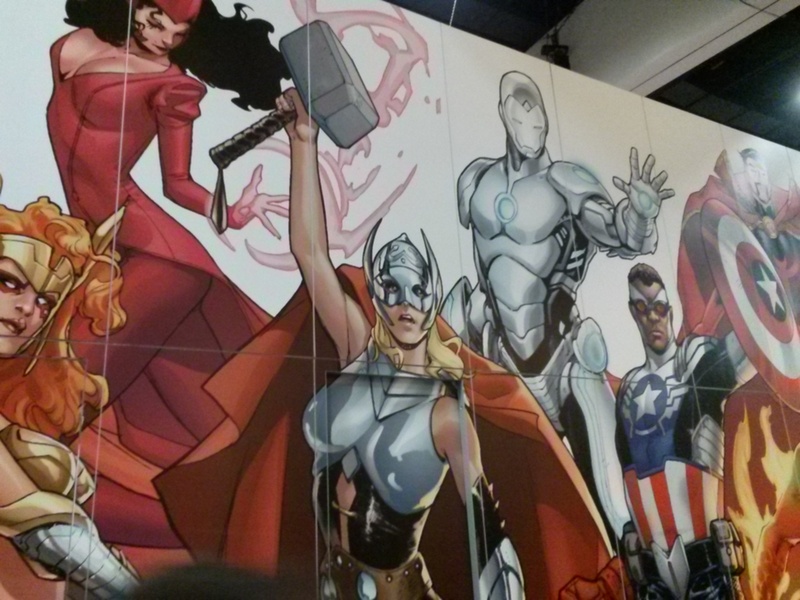 Images of the new Thor and Captain America are all over. 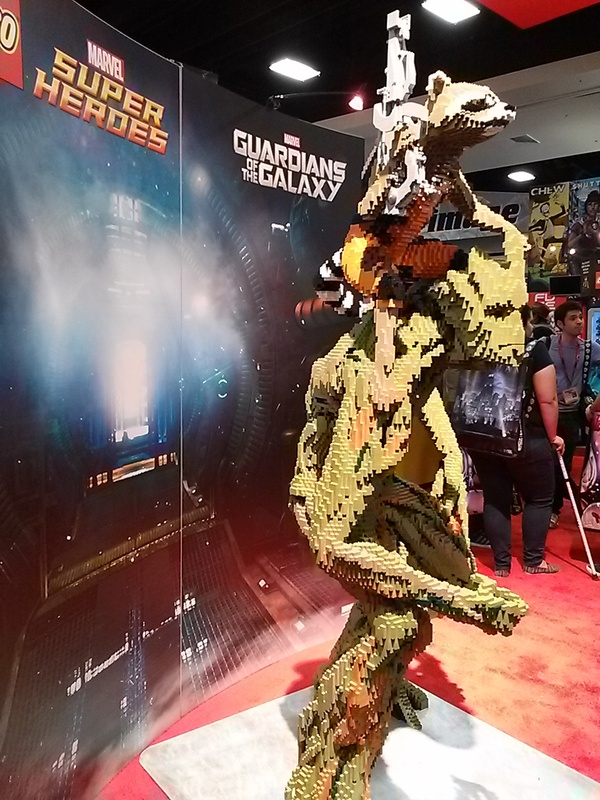 Keep checking back for more coverage of SDCC 2014!